Club Colors Case of National Importance | Hupy and Abraham, S.C. 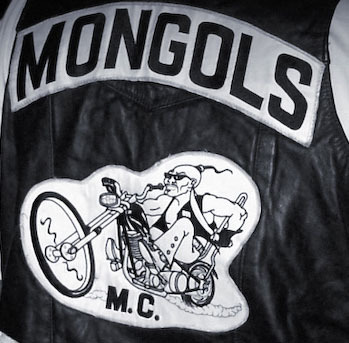 The Mongols MC has been engaged in a bitter battle with the federal governent over retaining ownership of the "club colors". After hundreds of thousands of dollars, the government still hasn't been able to legally seize the colors in an attempt to disband the club. Other major motorcycle clubs around the world are closely watching the court maneuvering in this case because they know the outcome could adversely affect them. Looking back at the history of the government's declaration of war on 1% motorcycle clubs, a pattern of evolution is evident. Although the government didn't have anything to do with naming certain clubs 1% organizations, it has eagerly prosecuted the various clubs, which they accuse of being gangs, and have systematically went through a number of tactics to label the clubs as criminal enterprises, terrorists and drug traffickers. The club colors act as an identity that the government wants to disrupt. We see similar tactics being used in Australia where the mere wearing of club colors is a crime in some areas. The clubs are fighting back, none more strenuously than the Mongols MC. The outcome of this trial could affect all the other 1% clubs in the country. More freightening, if the government is able to restrict speech and association in this manner, any group that falls into disfavor with the government could face similar prosecution in an attempt to disrupt and dismantle its organization.